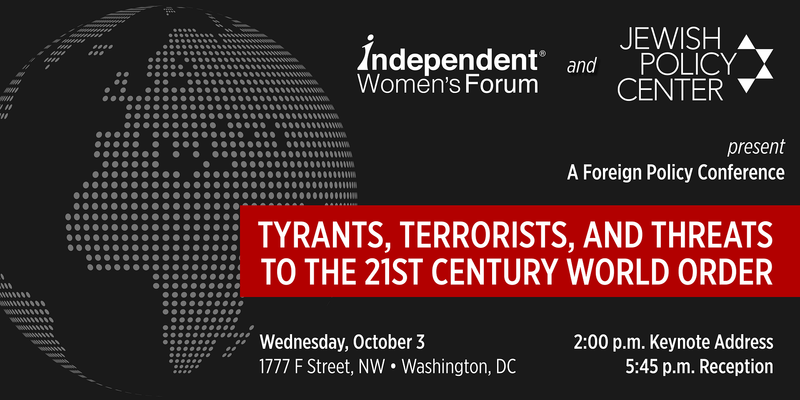 Washington, DC -- On October 3, 2018, Independent Women’s Forum and the Jewish Policy Center will host Tyrants, Terrorists, and Threats to the 21st Century World Order, a foreign policy conference on terrorism, ISIS and the Middle East, nuclear proliferation, the rising network of such despotisms as Russia, China, Iran and North Korea, and, on the upside, the role of women in opposing tyranny. We are living in extraordinary times of both promise and peril, of global abundance beset by rising threats to the Free World. 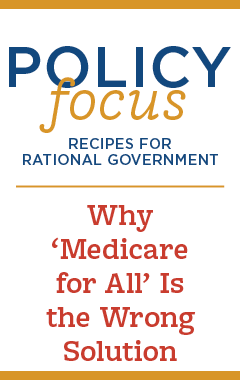 The conference begins at 2:00pm ET with a keynote address from The HOnorable Sue. M Gordon, Principal Deputy Director of National Intelligence.